Have you been involved in a road traffic accident that wasn’t your fault? Whether you were a driver or a passenger in a car accident, we can help you to make a road traffic accident claim. Call 01925 937070 for expert, confidential advice from a fully-qualified, experienced solicitor. Being involved in a car accident is often a worrying and stressful time. We can help you to recover the compensation you deserve including recovering any financial loss, such as loss of earnings, and arrange any recommended rehabilitation such as physiotherapy. Our aim is to fight to get you the best possible outcome and to take away the stress and worry of making a road traffic accident claim. Complete our Car Accident Personal Injury Enquiry Form by clicking here and one of our expert solicitors will contact you. Our personal injury solicitors operate on a ‘no win, no fee’ basis. We have your best interests at heart and only fully qualified solicitors, experts in their field, deal with your car accident claim. We pride ourselves on excellent customer service and you can read our clients’ testimonials to see for yourself. Making a compensation claim is probably not the first thing on your mind. You may still be suffering and are in pain with your injuries. We can help you with your rehabilitation, for example we have access to medical experts such as physiotherapists to help you on the road to recovery and we can help to recover the cost of any treatment. We can also put you in touch with an independent financial expert if you have been unable to work and have been left in financial difficulties. If we can’t help you, we’ll know someone who can. We’re here to help you from start to finish and ensure that you receive the best possible service. 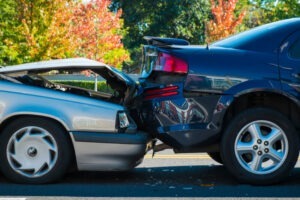 Finding someone you can trust to handle your road traffic accident claim can be difficult. Let us help. We have helped numerous people in difficult situations – we are the best at what we do. Don’t let your car accident cause you any more stress and worry – let us take that stress away. Speak to our friendly solicitors on 01925 937070. As one of the North West’s leading experts in personal injury law and road traffic accident claims, we regularly help our clients claim financial compensation for injuries suffered in everything from car accidents to accidents at work. Our main office is based in Warrington, Cheshire. Email us for an appointment or you may simply wish to speak to a fully qualified solicitor to find out whether you have a road traffic accident claim or complete our Car Accident Personal Injury Enquiry Form by clicking here. We help clients across England and Wales, with many clients across Merseyside, Cheshire and the Manchester area. Make a personal injury claim with DSM Legal Solicitors is simple. Our office in Warrington has free on-site parking and disabled access, including a lift. We are minutes away from Junction 8 of the M62 close to Ikea and Marks & Spencer. Diane Massey can be contacted directly by emailing diane@dsmlegal.co.uk. Diane is more than happy to discuss your road traffic accident claim and answer any questions you may have. Our office is based in Warrington, Cheshire and we accept claims from across England and Wales. As well as road traffic accidents, we can assist with other areas of law such as personal injury claims (serious injury claims and accident claims), medical negligence claims, criminal injuries compensation claims, settlement agreements, wills and probate, lasting powers of attorney, oaths, affidavits and statutory declarations, employment law claims and professional negligence claims. If you have been injured in an accident that was not your fault, contact DSM Legal Solicitors online as soon as possible to discuss a potential road traffic accident compensation claim by completing our Personal Injury Claim Form or emailing us here. For a free, no obligation assessment of your personal injury claim, complete our online enquiry form or call us today on 01925 937070 and speak to a personal injury solicitor. If you’re involved in an accident at work, on the road or in the streets and you are looking to make a claim for compensation you will be required to provide a certain amount of information about your ordeal in order to process your claim. If you would like to discuss making a claim, then call a member of the DSM Legal Solicitors team on 01925 937070.